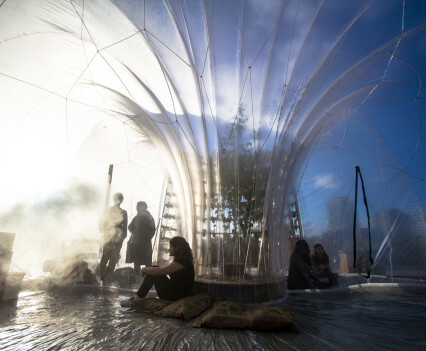 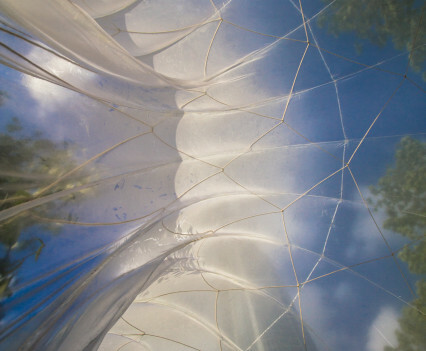 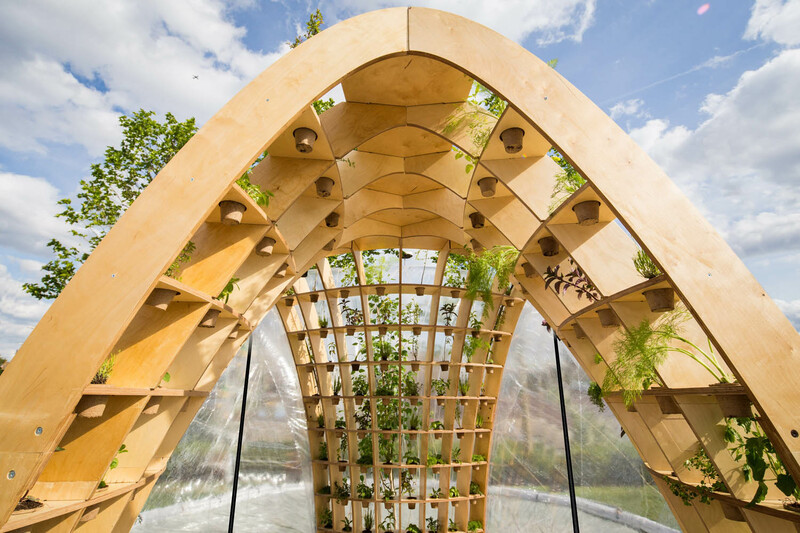 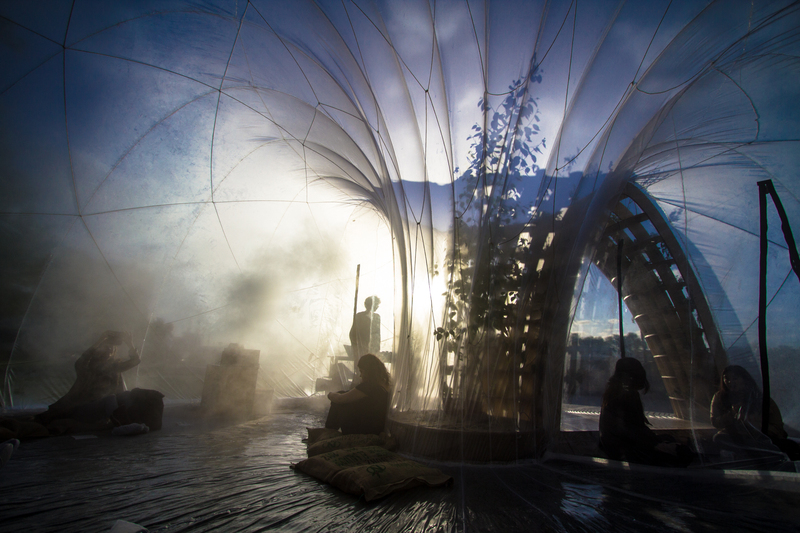 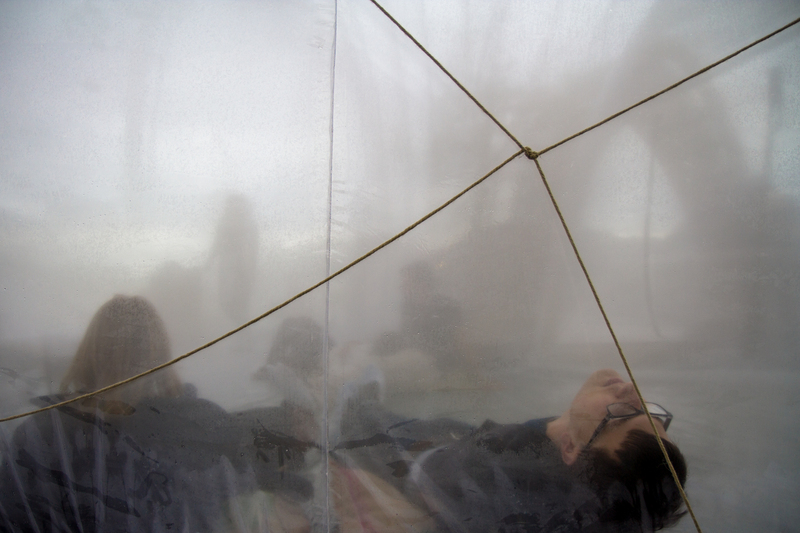 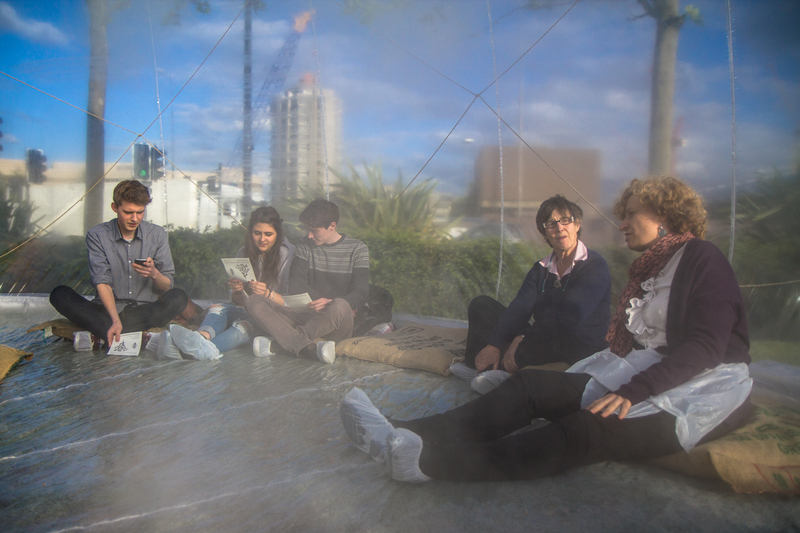 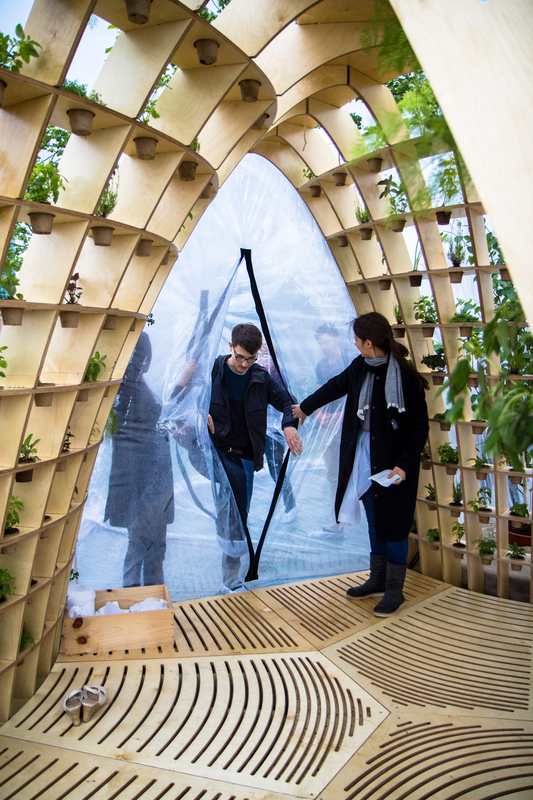 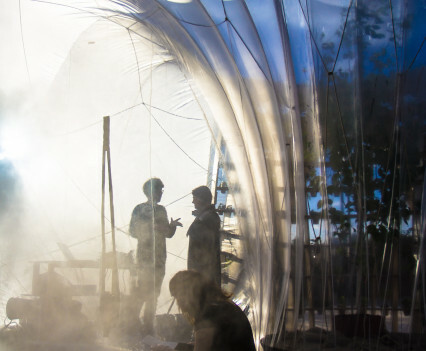 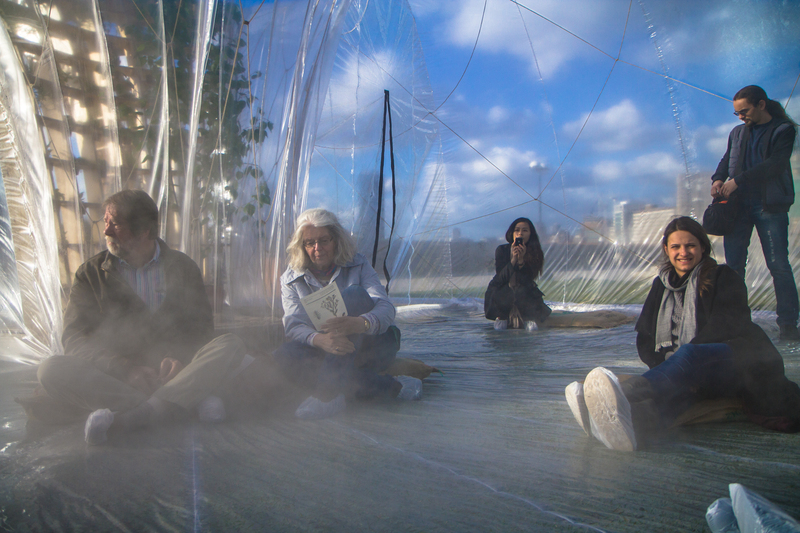 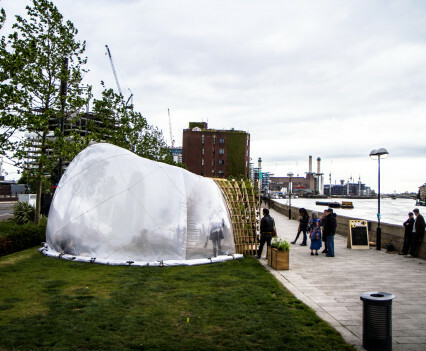 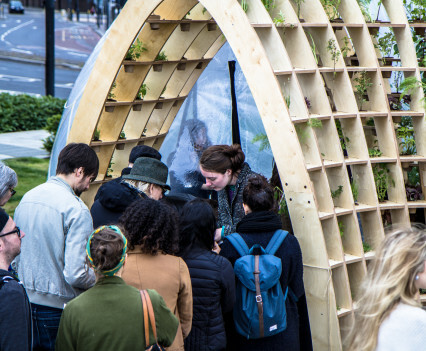 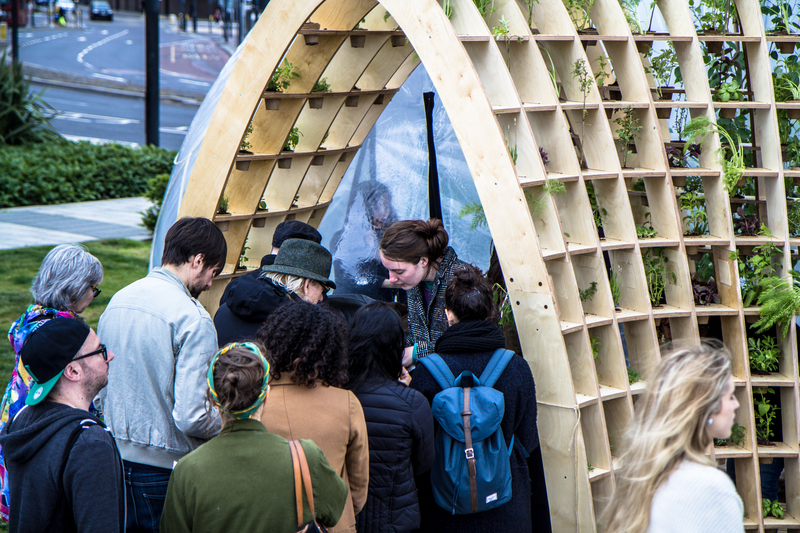 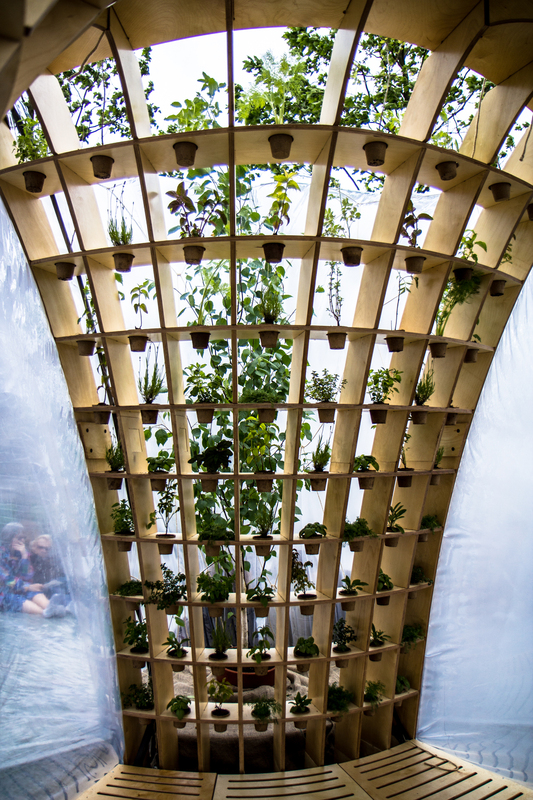 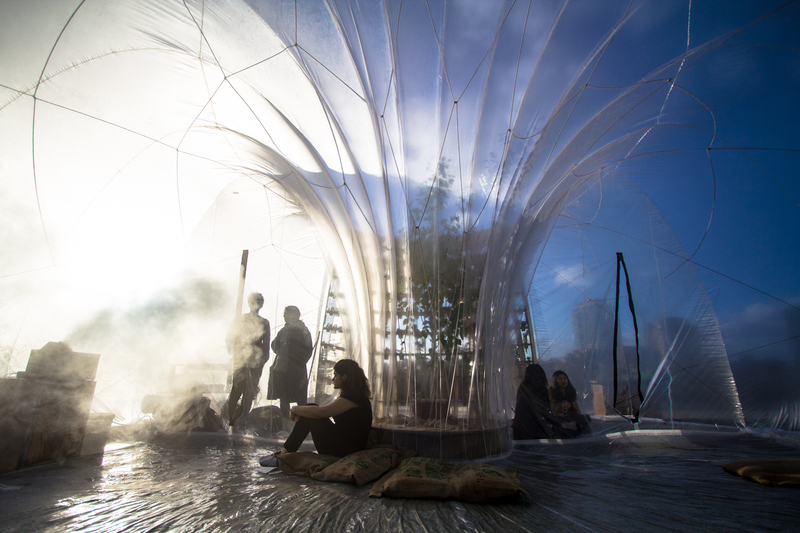 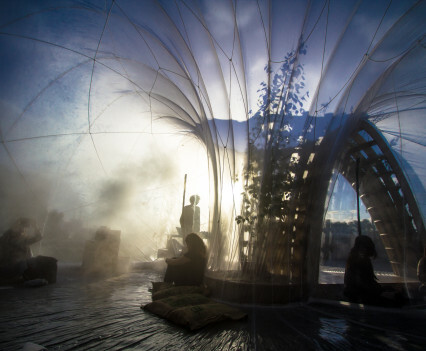 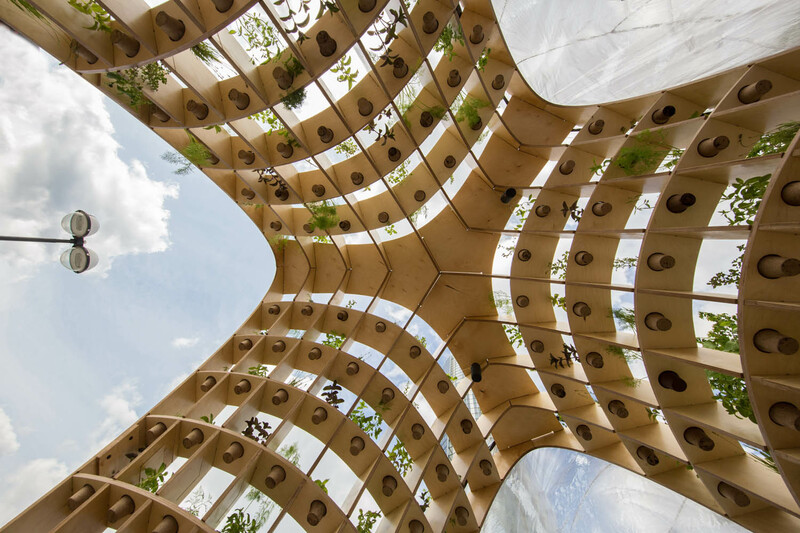 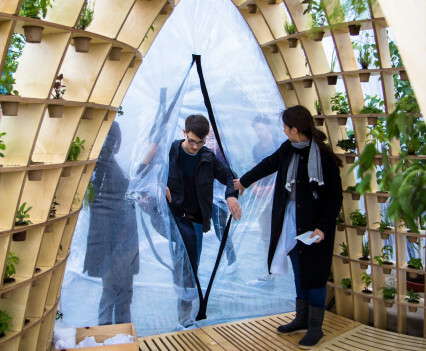 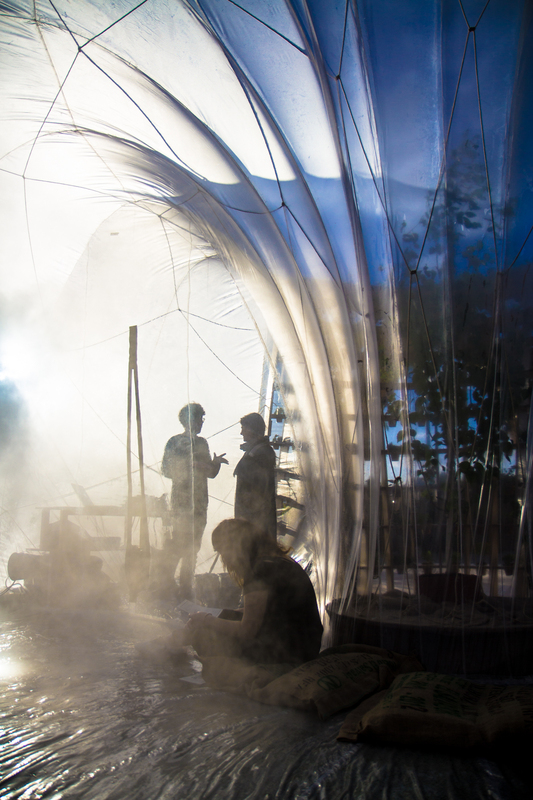 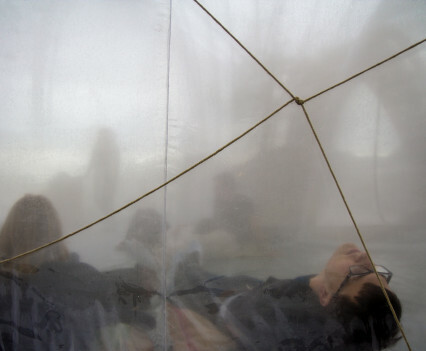 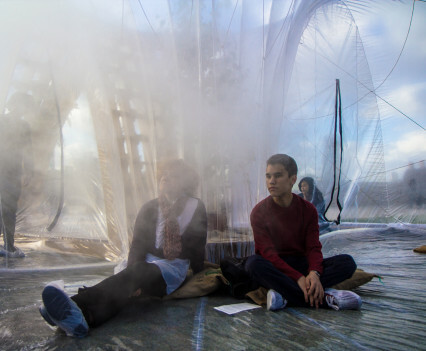 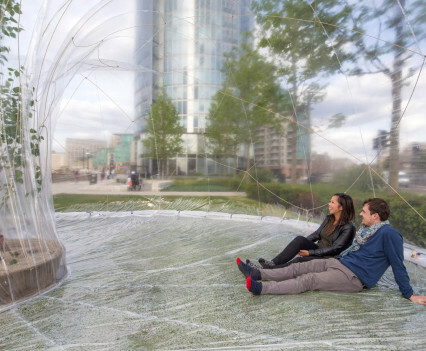 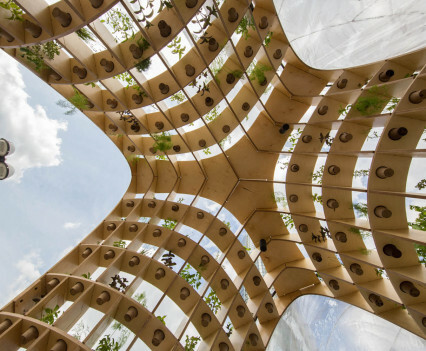 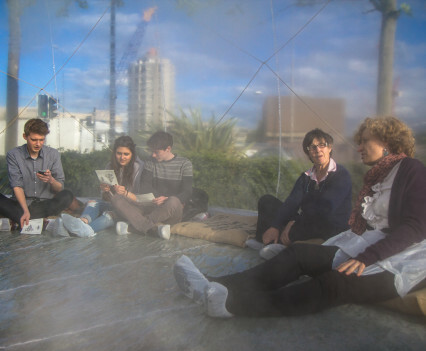 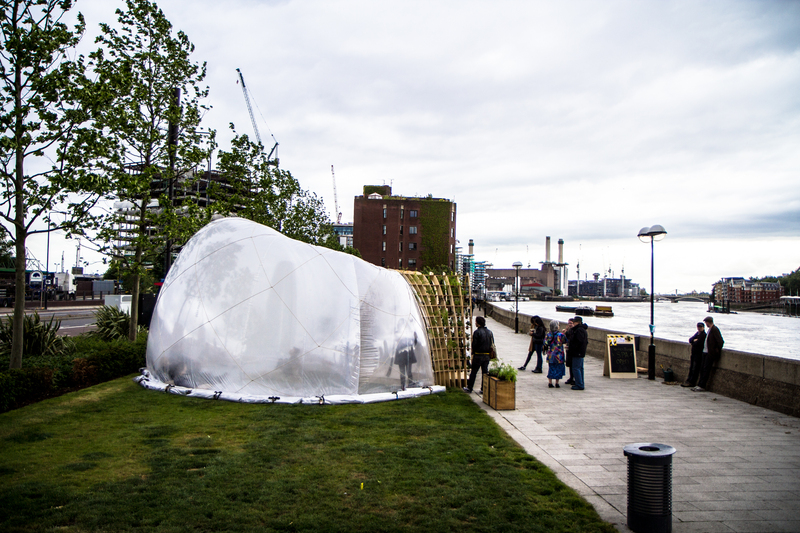 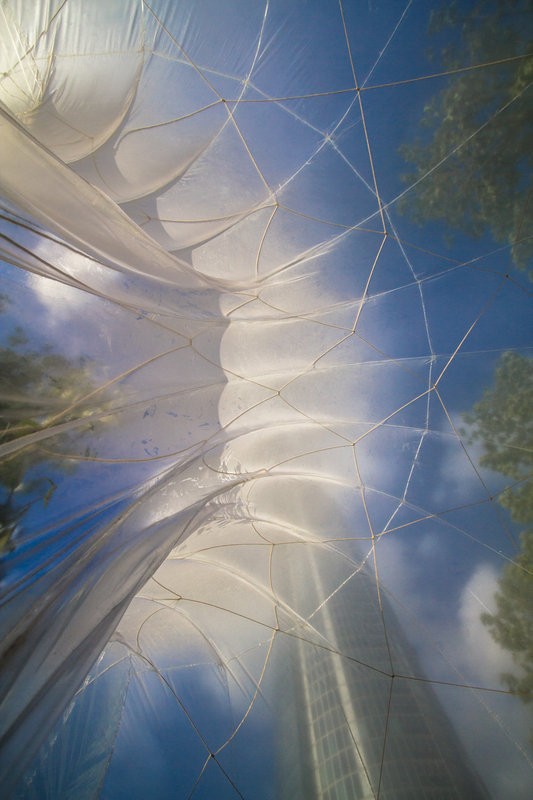 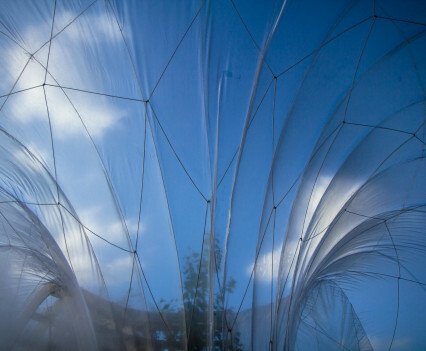 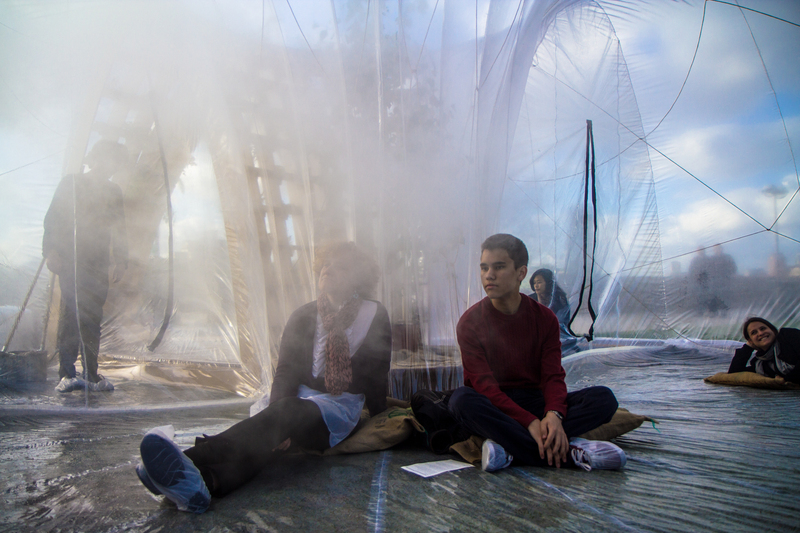 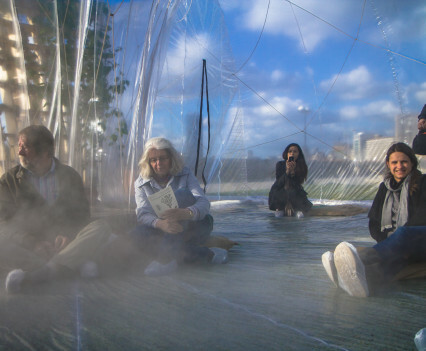 This is the future spa for plants and people, part greenhouse, part pneumatic bubble and inflated with medicinal fog for people to come, stop, breathe and connect. 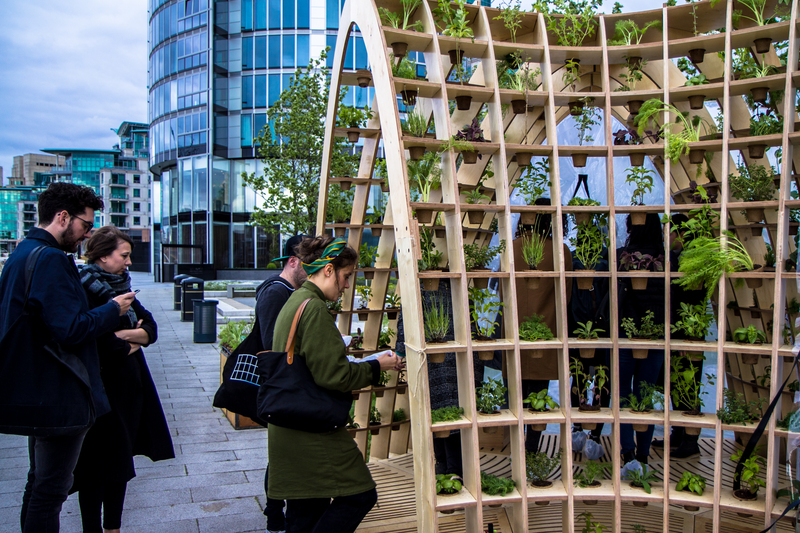 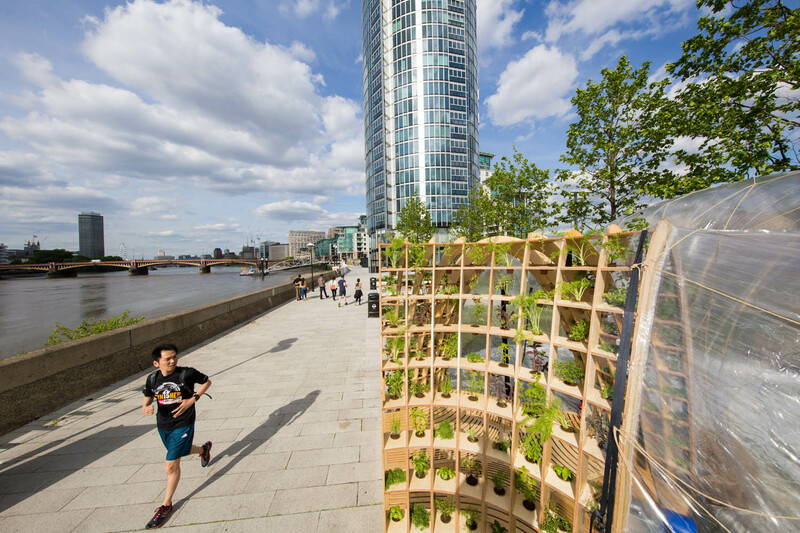 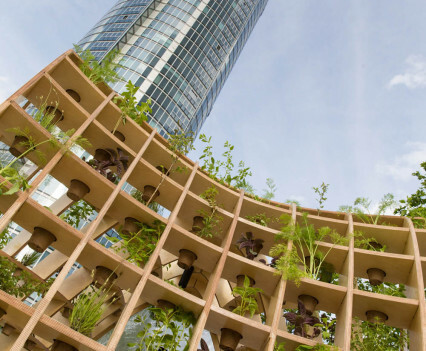 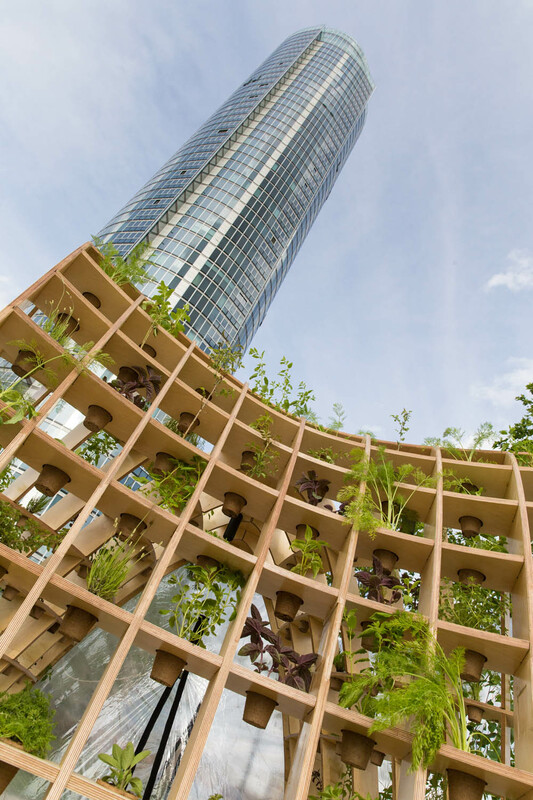 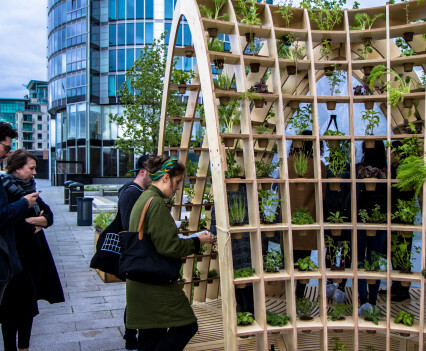 This was a special commission for Nine Elms on the South Bank to create a new social space for the people of Nine Elms to coincide with the Chelsea Fringe Festival and the London Festival of Commercial Outdoor Planters Architecture and will returning in September for the Thames Festival. 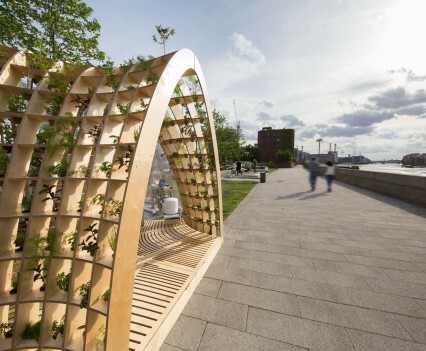 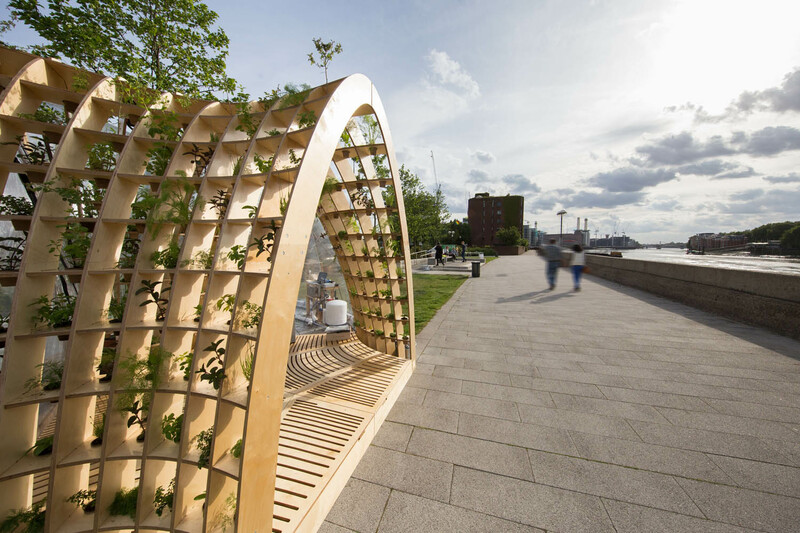 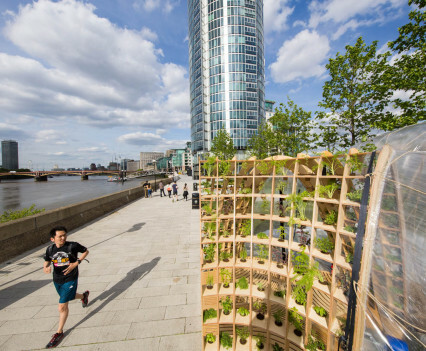 The Horticultural Spa reinvigorates the Thames River Path, inviting people into an ephemeral and futuristic bath meets tea-house. 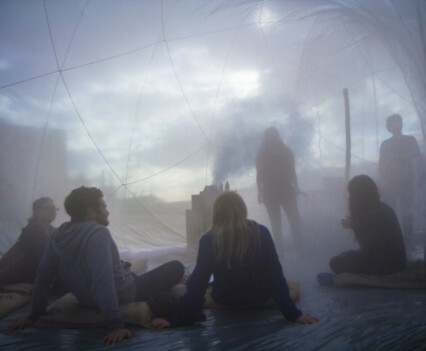 Once inside your herbal brew is served through clouds of fragrant fog consumed through breathing and absorbed into the skin. 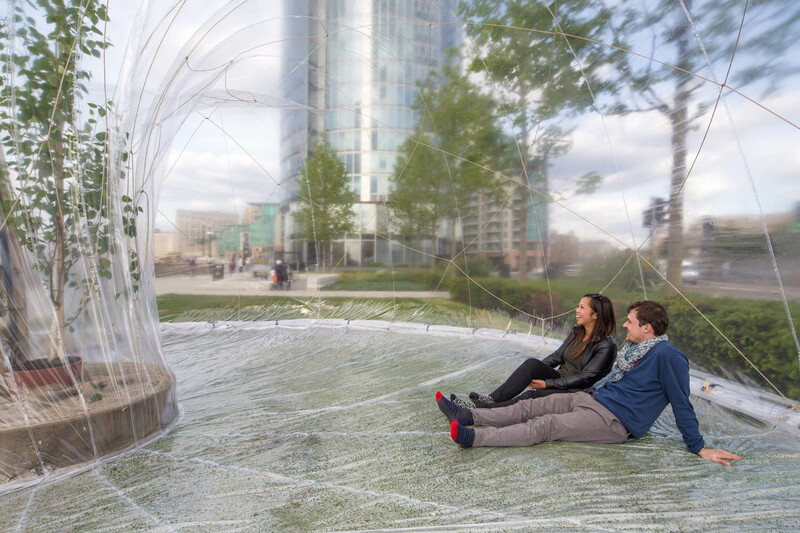 We transformed this public garden in order to tell the story of water scarcity and the innovative technology and social models that could be redeveloped to reduce consumption and encourage public bathing again as a ritual and enriching social experience. 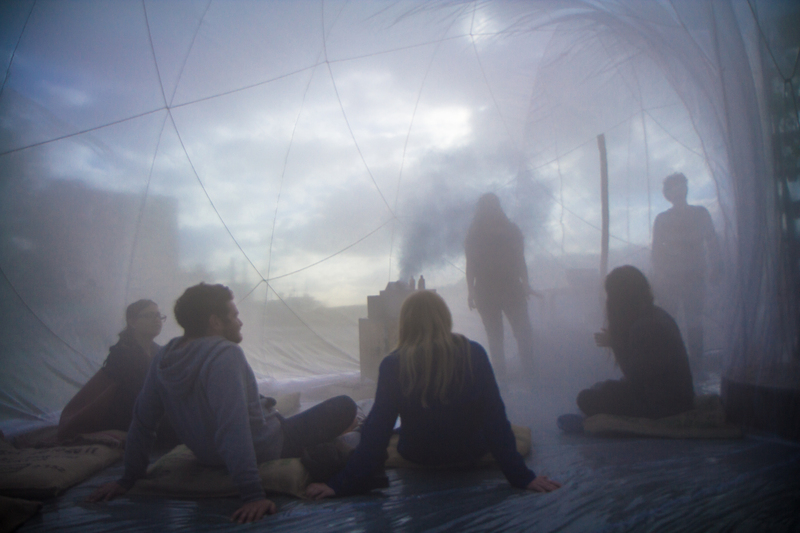 We hope to see you on the riverside to collectively bathe in fog. 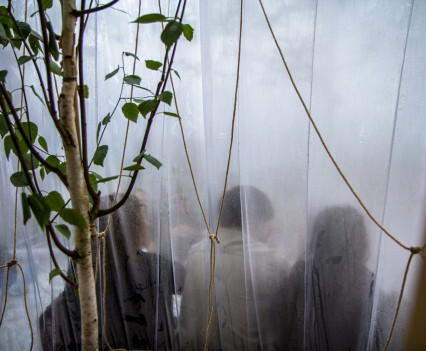 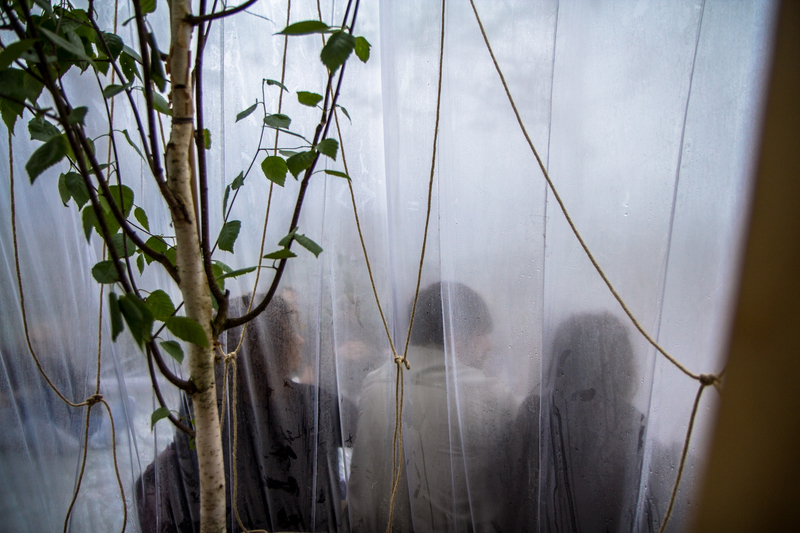 As part of program we had meditation sessions in the spa and a special event where Dom Bridges of Haeckles curated the fog, alongside a stunning ambient soundtrack specially created by Mileece, a sonic artist who generates music from the electro-magnetic emissions from plants. 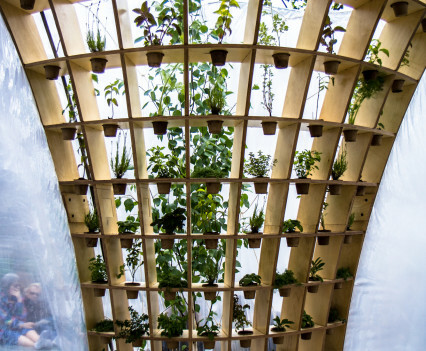 The Horticultural Spa was designed and fabricated in-house in only two weeks and it all thanks to an amazing and inspiring team who worked every hour possible to make this ambitious project happen. 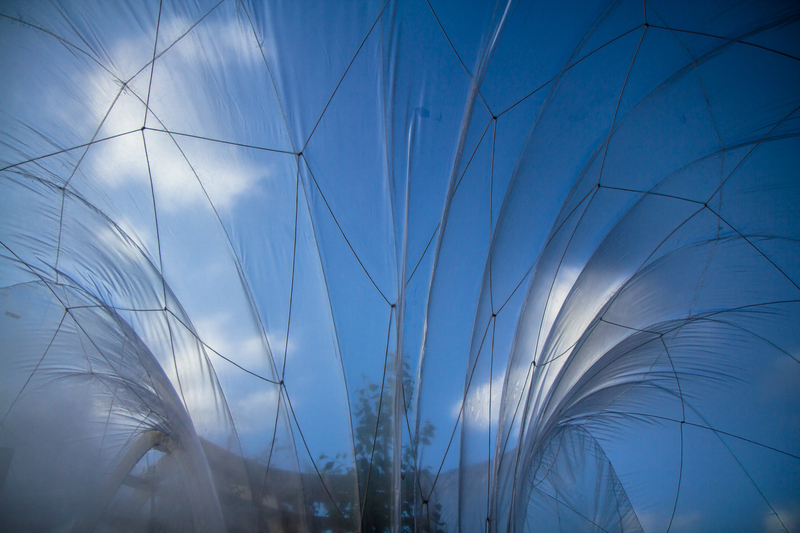 A huge thanks to our incredible design team and volunteers! 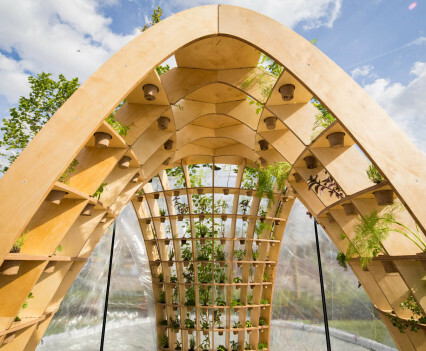 Share the post "The Horticultural Spa"